Sending personal, relevant messages is a proven method to engage with your subscribers and build that close relationship. By personalizing your messages, you'll be able to provide a customized experience with your emails and add a small dose of familiarity. 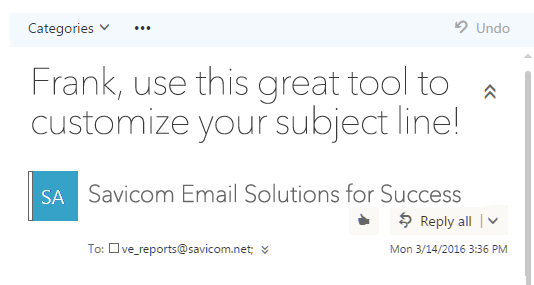 Subscribers get frustrated by emails that aren't relevant to them, and only want relevant emails in their inbox. You can simply add a subscribers first name to the subject line or the body of a message or, you could customize the entire message based on a subscriber's zipcode, recent purchases, or open & click history. Merge tokens are a great way to enter personalized, dynamic content into your campaigns and automated messages. Every field in your account has a corresponding merge token (##FIELDNAME##) you can use in your campaign to pull in data directly from your list. Add a customer's first name to the email or pull in a coupon code that you've generated for each subscriber. The feature works in conjunction with the fields you create on the "Edit Fields/Sub-lists " page and the field data corresponding to individual recipients. Click the "Content" tab within 'Compose / Send Message'. 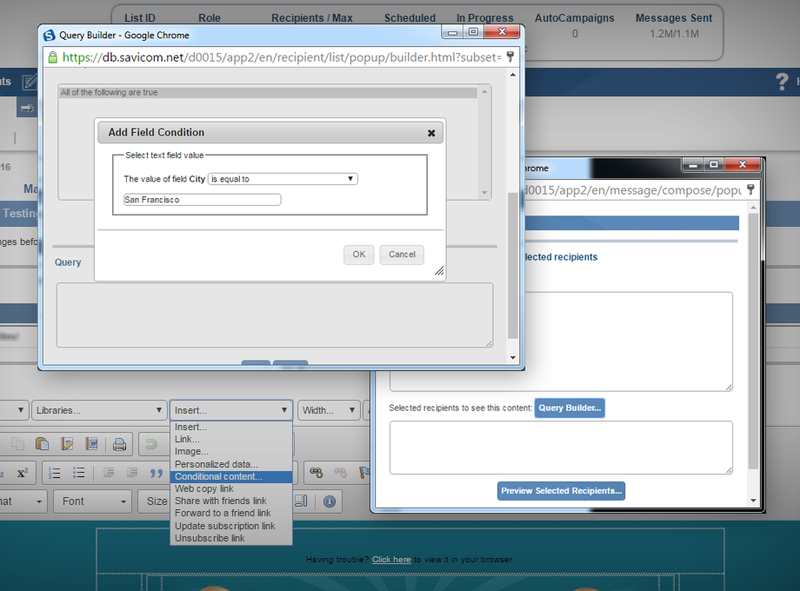 Now, choose the "Personalize Data" option under the 'Insert..' dropdown menu In the popup window. The pull-down menu will reflect all the data fields you have created. Some of your recipients may not have data for the fields you are merging. You can add default text for this case by marking the box for " Value if Field is empty " and entering the text you would like to appear in the event that a recipient has no field data for the field you selected to merge. Want to take things a step further? Use conditional content to include dynamic content into your campaign, using IF, and ELSE logic. They let you show different blocks of content or promote different products to subscribers based on their interests, purchase history, age, gender, or any other information you've collected from them. Personalization doesn't have to be complicated, it can be as easy as a subscribers first name. Experiment with personalization; add a little, add a lot, and review your results to determine the best mix for your customers.